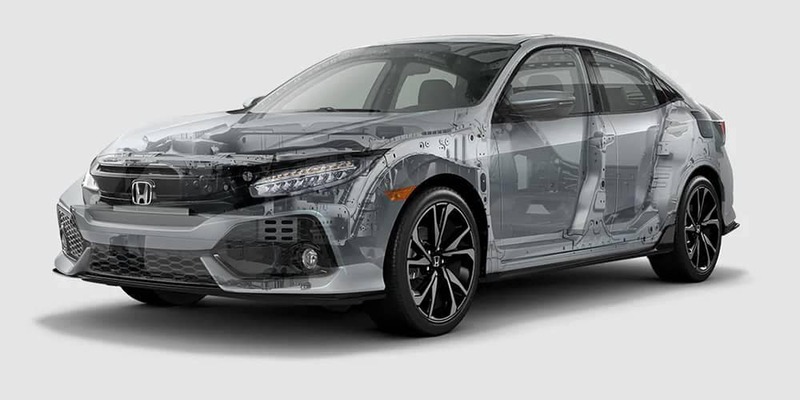 How Do 2019 Honda Civic Hatchback Specs Impact Your Drive? Any driver with an eye for horsepower and torque will immediately recognize the exceptional performance promised by Honda Civic Hatchback specs. You’ll find the vehicle reacting with refreshing vitality whenever you hit the gas, and yet critics from US News still note that the “lineup of powerful engines gets excellent fuel economy”. 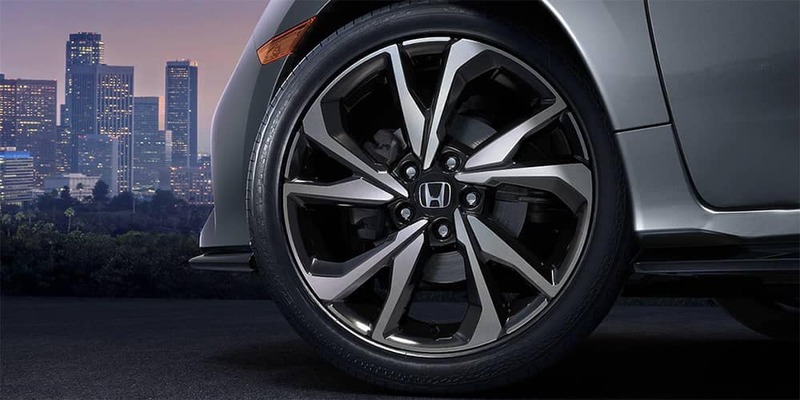 Even before you sample the Honda Civic Hatchback from behind the driver’s seat, you’ll understand its performance potential simply by casting your eyes across the exterior. In a bold statement of intent, all arches and angles point forward. The back end is aggressively sloped, the stance is wide, and available features include an underbody spoiler kit and center-mounted dual outlet exhaust. Toyota Corolla Hatchback: Up to 168 hp and155 lb-ft of torque as standard. Mazda3 Hatchback: Up to 155 hp and 150 lb-ft of torque as standard. 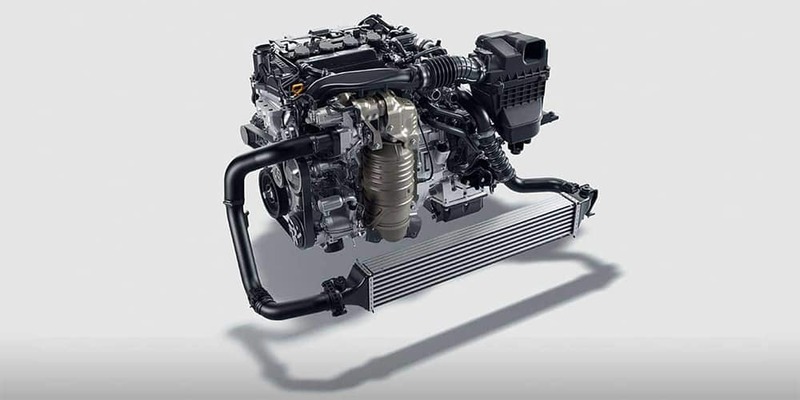 The Honda Civic keeps MPG ratings high while still offering an energy-packed ride, and it does that by refining power through one of two cutting-edge transmission systems. 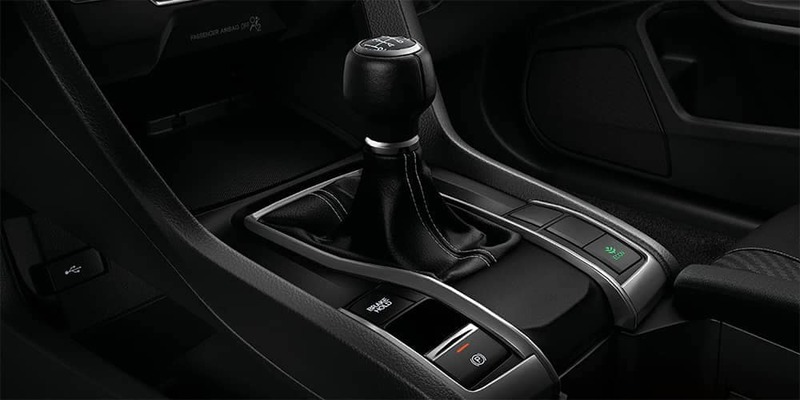 6-Speed Manual Transmission: Perfect for the driving enthusiast, the Honda Civic Hatchback’s manual transmission offers low internal friction for precision shift action and close-ratio gears for outstanding acceleration. Continuously Variable Transmission (LL-CVT): Instead of using fixed gears, CVT constantly adjusts gear ratios for strong MPG ratings and seamless performance. Dual-mode paddle shifters are available with Sport models and fitted as standard in Sport Touring models to provide direct control. Up to an EPA rated 31 mpg in the city and 40 mpg on the highway* with Continuously Variable Transmission. Up to an EPA rated 29 mpg in the city and 38 mpg on the highway* with 6-speed manual. The Honda Civic Hatchback’s phenomenal powertrain is complemented by a full range of performance features to provide track-like responsiveness and a keener ride. MacPherson Strut Front & Multi-Link Rear Suspension: Sophisticated suspension keeps your ride calm and serene without for one second making you feel disconnected from the road below. Variable Ratio Electric Power-Assisted Rack-and-Pinion Steering (EPS): Advanced steering technology provides fine control and immediate feedback. Power-Assisted Ventilated Front Disc/Solid Rear Disc Brakes: Added force is provided on your brakes for sharper stopping power. All-Season Tires: Fitted as standard to keep you running with confidence whether it’s summer or winter. You’ll also find a strong selection of active safety features fitted as standard across all trim levels to help keep you in full command of the vehicle. It’s clear from the second you set eyes on the Honda Civic Hatchback and inspect its specs that performance is going to be a standout feature, and we’d love to let you experience that performance first-hand. If you’d like to find out more or arrange a test drive, don’t hesitate to visit your local West Michigan Honda dealer today. You can also contact us directly to explore financing options and the latest special offers.